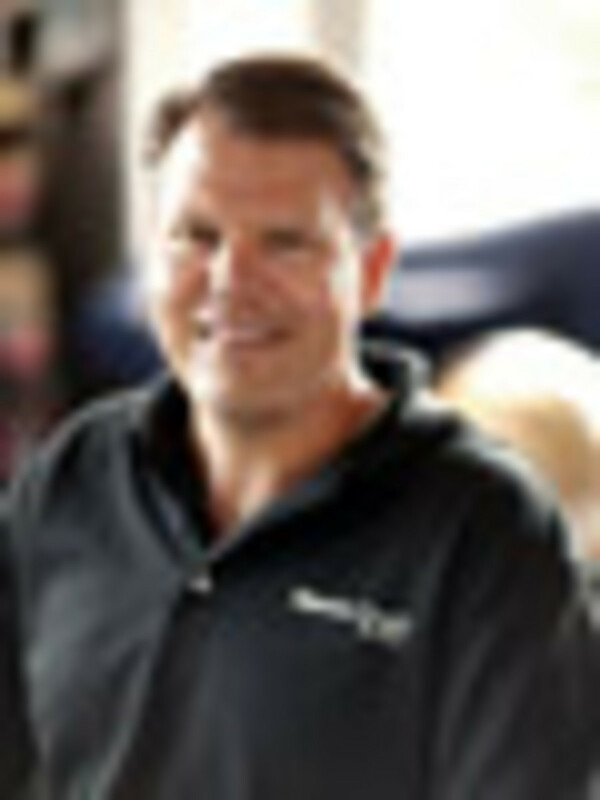 John Dorton joined MasterCraft as vice president of marketing in 1996. He was appointed president and chief executive officer in February 1999 and also serves as a director. Prior to joining the ski, wakeboard and performance powerboat manufacturer, Dorton was an executive in the home fitness equipment industry, serving as vice president of marketing and business development for Amerifit from its second year of business until its eventual sale. Dorton also serves on the National Marine Manufacturers Association board of directors and is chairman of its Boat Manufacturers Division and Marketing Committee. He is also a director of the Water Sports Industry Association, the World Wakeboard Association and Icon Aircraft. He was president of the Water Sports Industry Association from 1999 through 2001 and served as the chairman of the Knoxville (Tenn.) Leadership Foundation. Dorton is also a member of the Marine Design Research Alliance, the Young Presidents&apos; Organization and Chief Executive Network. Dorton holds a Bachelor of Science degree in communications from the University of Tennessee and has completed advanced studies at the Kenan Flagler Business School of the University of North Carolina, Harvard Business School and the Massachusetts Institute of Technology. He has been married to Suzanne ("the little girl that used to have to wait on me to get off the ski boat at the University of Tennessee") for 24 years. They have two sons. When not working, Dorton enjoys his ranch in Colorado and his farm in Tennessee. Q: MasterCraft plans to return to viability without going through the court system. What steps did you take, and why did you go this route? A: We exchanged the equity that we and our investors had in the business for debt. So by doing that, most of our equity holders surrendered their investment into the business, and the debt holders were able to take that over and now have a substantial ownership in the company. MasterCraft worked hard to settle our liquidity issues in an environment where we could be fair to first our customers, second our dealer network, and then third our vendor network. We wanted to make sure we could be fair to them; all three of those groups are struggling through the economy. We certainly know that dealers have new challenges, as do vendors, as never before. And we&apos;re dealing with a customer base [where] those who do have money are much more cautious about where they spend it. We had to bring them a new value equation and a new level of security before they would invest the kind of money in a MasterCraft boat in times like this. We had to make sure that all the effort of restructuring our balance sheet was going to bring a level of fairness and security to all three of those stakeholders. Q: As part of this plan, you asked vendors to take either a staged repayment or a discounted immediate repayment. What kind of response did you get to this request? A: Every one of our vendors was involved in some level in this. We had a very positive response. We offered them two options. One was if they needed immediate cash - and some did - then they agreed to receive a discounted amount. Others had sufficient liquidity, so they agreed to extended terms. I think many of the other OEMs are going through this, but not in such a formal program, which was upfront and forthright with the vendor network. So I think MasterCraft came through this situation as honorably as possible and as fairly as possible to the vendors. I think there are other manufacturers that are going through similar situations without a formal program, which created greater concern for the vendors. Q: Where does MasterCraft now stand financially? A: We&apos;re certainly now effectively debt-free. We are in a cash flow negative environment, as most folks are, so we continue to see our backlog of orders build, and we project that we&apos;ll be getting nearer to cash flow neutral later in the model year if our orders continue to hold up. We&apos;ve been very prudent with managing our expenses. You can only cut to a certain level, and then you have continue to maintain your general business practices, your warranty dealer support, etc., so we have a significant investment in that. We&apos;re encouraged by the order backlog. [We will] continue to monitor dealer health and dealers&apos; ability to fund the orders they&apos;ve made to us with either floorplan financing or COD purchases. Q: How big a concern is floorplan financing for your dealers? Is there anything you can do to help them? A: It continues to be a large concern. The floorplan that is available is very expensive, and dealers are concerned with longer term obligations, in the form of curtailments, etc. Dealers are [less inclined] to take stock units now than they have been in recent history. Many are moving to local floorplan arrangements ... with their local primary banks, as many local and regional banks are starting to get back to the business of opening accounts and managing the banking activities of a company, as opposed to trading paper. That&apos;s been helpful. A lot of our dealers&apos; inventory is down significantly now, so the boats that they are ordering are consumer-sold boats. So a lot of our funding issues are very short-term, as we help dealers fund the difference between when we deliver the boat and when the consumer pays. Q: You recently rehired nearly 200 employees and restarted production. How is that going? A: We hired 175 ... now we&apos;re at about 218 employees. We are building steady paces. Everyone&apos;s glad to be back in. We were able to go back and bring in sort of our specialty positions first, and then we&apos;ve gone and looked through our employee base and took a real hard look at versatility and seniority. And we brought people back in, often to positions that they might have done 15 or 10 years ago, but they&apos;re just happy to be back, happy to be working. This is a fairly depressed county, a lot of boatbuilding here. Many of the plants [were] shut down or near shut down for the month of July, with indications that might go longer. So a lot of employees here - good, qualified employees - just could not find a job locally, so they&apos;re happy to be back. We continue to monitor our order collections daily, if not hourly, and we&apos;re encouraged with the dealers&apos; view of retail activity, and that continues to improve. But it would be nice if we could solve the longer-term floorplan problem. I think that, certainly on the MasterCraft side, we seem to be outpacing our segment in liquidations, and MasterCraft market share has grown significantly in the last little bit. I know just last month we had a significant number of retail-delivered boats. The decline in retail for June activity this year versus June activity last year was considerably less than anticipated. So that meant that there&apos;s even more boats that have gone out of the pipeline and overall the company&apos;s much healthier. That&apos;s important to the floorplan vendors, as well. They seem pleased with that. Q: Are you introducing new models for 2010? If so, how does the number of new introductions measure up to years past? A: We&apos;ll have two new models - that&apos;s not counting the 30-footer we launched in Miami [in February], although it&apos;s officially a 2010. So three, if you count the 30-footer. The 30-footer production, by the way, is going nicely. That was the only boat we built in the month of June, but those were all presold orders and a progressive pay order, so you put down a substantial deposit and then with each milestone in manufacturing, we receive additional payment. So we&apos;ve sold five of those boats. I think all five are going overseas. That&apos;s done really well. Beyond that, we&apos;ve made significant innovations to our dash and gauges. We&apos;ve added a lot of content [that was] once optional, now standard, as we see an extremely high percentage of our products outfitted with those options. We continue to evolve our interiors and our graphics. Our trailer business is very stable as well, and we continue to enjoy a high percentage of boats that go out with MasterCraft-produced trailers. We tend to introduce two [new models] a year. I think it speaks to the fact that we remain dedicated to the product. We know that the only way to get out of this, for any of us, is to lead with product. So you win every deal one consumer at a time, and you do that by having a product that&apos;s more compelling than anything else that&apos;s on the market. We know that we owe it to the consumers to earn their dollar vote with exciting new boats, especially with MasterCraft consumers who are much more concerned about the product quality and innovation than they are the price. Q: At the dealer conference last November, you said during a panel discussion that MasterCraft was in a "micro business." Is there still a demand for the type of specialty boats you build? A: Yes, there is still a great demand for the types of inboard, water sports towboats that we produce. We also see a lot of subsegments to that. I think the fact that we are hard-core boaters ourselves helps us think about and explore new market niches that others might miss. Our boats are really all based on significant consumer usage patterns, and we know that the wakeboard segment has continued to show growth. I think every manufacturer that&apos;s participated in that segment would probably attest to the fact, and the NMMA would attest to the fact, that it&apos;s one of [the healthiest], if not the most healthy, segments over the last 10 years. It certainly was the last segment to feel the economic downturn and will likely be the first segment to return to more normal revenue and unit levels. So we continue to know that baby boomers, as they turn into empty nesters, and the Gen X and Gen Y markets will continue to be an attractive pod of consumers, as they move through the rest of their life cycle. We continue to think about boats that will follow the consumer as they go from a boomer with high-school-age kids to where they become empty nesters. The ski boat buyer of the &apos;70s and &apos;80s that became the wakeboard boat buyer of the &apos;90s can be now the cruiser buyer of the 2000, 2010s. We know that the baby boomers that had the Gen X and Gen Y kids - those kids, they&apos;re now growing. They&apos;ve had a favorable boating experience with a MasterCraft and with water sports, and they&apos;re becoming an age now where they&apos;ll have sufficient income to purchase one of our products, and they&apos;ll be bringing along their kids. I think we continue to farm the next generation of MasterCraft buyers. Q: Also at the dealer conference, you talked about MasterCraft&apos;s program of offering tours of the manufacturing facility in Vonore, Tenn. Why did you decide to open your operation to the public? A: It&apos;s a program called Fanfare. It was the brainchild of our sales and marketing team, led by Scott Crutchfield, who&apos;s the senior vice president of sales and marketing. The idea was, it&apos;s tough times, tough times for retailers. Consumers are bombarded with a lot of messages. [It] was just a time to form a partnership between the retailer and the manufacturer, and to treat the customer like the kings and queens that they are and offer them a free trip into the factory. We&apos;ve got a lot here to be proud of. It&apos;s fairly interesting; most people have no idea how a boat&apos;s built, and they get a real opportunity to come and tour the plant. This is a management team that&apos;s all about our sport. When we&apos;re not building boats and running our business, we&apos;re out on our boats. So [visitors] get a chance to sit across the table from folks that produce the boats. They seem to really enjoy that. I think that&apos;s a bit of a kick to the consumers. But dealers have been hamstrung in their ability to bring in stock boats due to the wholesale flooring [problems], so it&apos;s an opportunity for consumers to try out one of every model we produce. We&apos;re right here on the lake, and the boats are out on the water, staged and ready to try out - as many as they want. We&apos;ve had some people that try literally every model we make. The closing ratio has been tremendous. 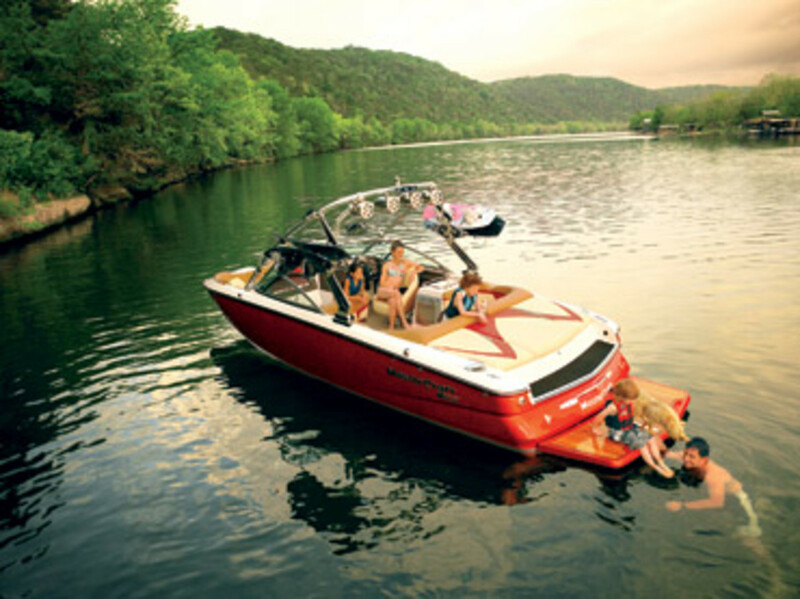 It&apos;s been well over 75 percent of the people that come immediately purchase a boat. I think the other 25 percent - with some follow-up - most of those have purchased as well. And then we have a follow-up to that program - people who have said I&apos;d love to come to the plant, I just couldn&apos;t get away, but I&apos;d still like to buy a boat. So it&apos;s generated a lot of sales even to folks that didn&apos;t come to the plant. I think that&apos;s another reason why market share&apos;s been on an upswing for us. 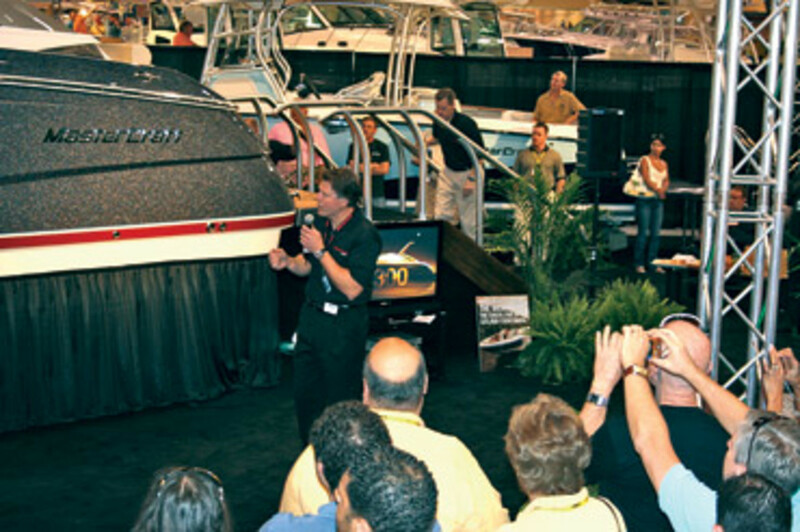 Q: What are your expectations for the fall boat show season? A: Fairly guarded. I think we&apos;re seeing a lot of non-boat show retail activity. I know there&apos;s a question from an organizer&apos;s perspective as to how many fall retail boat shows there will be. I suspect that the ones that are executed will be better than anticipated. I suspect there&apos;s some pent-up demand and, barring any significant change in consumer confidence, I&apos;d imagine that they&apos;ll exceed what are generally low expectations. Q: When do see a turnaround coming in the boating industry, and what do you think the industry will look like when this recession is over? A: That&apos;s the question that everyone&apos;s scratching their heads over. I believe that there are signs that it could be slowly recovering. I think we&apos;re going to move into a world with significantly lower unit volumes over the next five years, maybe even longer. I think we&apos;re going to move into an environment where retailers and manufacturers have to rethink the relationship in order to give both a greater chance for survival. I think the risk profile continues to shift. Generally, risk is who&apos;s going to hold the inventory. Is it the manufacturer? Is it the retailer? So, if that&apos;s the case, both parties will have to understand the most effective way to work with floorplanning, sales incentive programs, etc., to balance that out, to give the entire distribution channel the best chance of survival and to deliver to consumers the level of service that they&apos;ve come to expect and continue to demand. Speculation is that there will be a lot less manufacturers and less retailers. That&apos;s a likely scenario, although it&apos;s a relatively low capital-intensive industry, so it&apos;s possible for manufacturers to survive on extremely low volumes. It depends on the appetite of the owners. I&apos;m not so sure I&apos;m convinced there&apos;ll be significantly less manufacturers. I think it will certainly be more of a challenge to encourage new investment into our industry. The concern&apos;s always been what happens to the boating industry in an economic downturn and this segment&apos;s had a very hard two-year span. Certain manufacturers will be much more able to encourage future investment and others may not, and maybe certain segments are going to be more successful in that in the future. Generally, that level of new capital is what&apos;s helped manufacturers be a little smarter about production and engineering and product development and systems. That will ultimately be very healthy for the industry. I think that will be an area that maybe will slow the growth of the industry down over the next three to five years.